Samsung wants to pick up some extra Apple orders. Samsung has long been a crucial part of Apple’s supply chain, but it wants to muscle in on the company’s A-series processor orders as well. According to a new report, Samsung is looking to regain the A-series orders that it received from Apple until TSMC took over several years ago. Previously Samsung held the exclusive order contract for these mobile A-series chips, which are used to power the iPhone and iPad. With this in mind, Samsung is said to be running “full throttle” to develop InFO (integrated fan-out) packaging technology, and is also supposedly outpacing TSMC to develop chips using the 7-nanometer extreme ultraviolet lithography (EUV) process. By doing so, it is hoping to win back orders from Apple in 2019. To attract takers, Samsung has dropped its foundry quotes by a massive 20 percent to try and get orders from companies such as Apple. However, it has had little response due to the perceived technical challenges involved with the EUV 7nm process. This includes both yield-rate issues and quality risk, which Samsung has yet to convince others it can overcome. 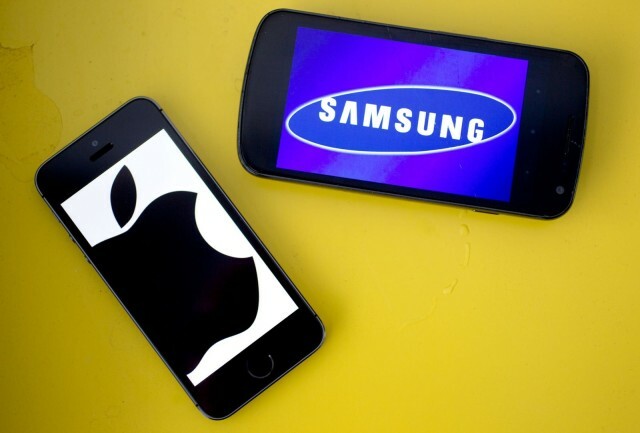 Samsung and TSMC have been battling back and forth over Apple orders for years. This has led to plenty of drama, such as when a former TSMC employee was charged with leaking trade secrets to Samsung. In the past, Foxconn CEO Terry Gou has even gotten involved to lobby on behalf of TSMC, prompted by fears that Samsung will take over more and more of the work involved in producing iPhone components. While Apple has continued to work with Samsung, despite their ongoing legal drama, we understand why Apple may not be quite so keen to hand over A-series orders to the South Korean giant. Apple typically likes to spread its orders around, rather than relying on only a few suppliers. Then again, if Samsung can prove its EUV 7nm tech works, and throw in a nice discount for good measure, anything could happen!